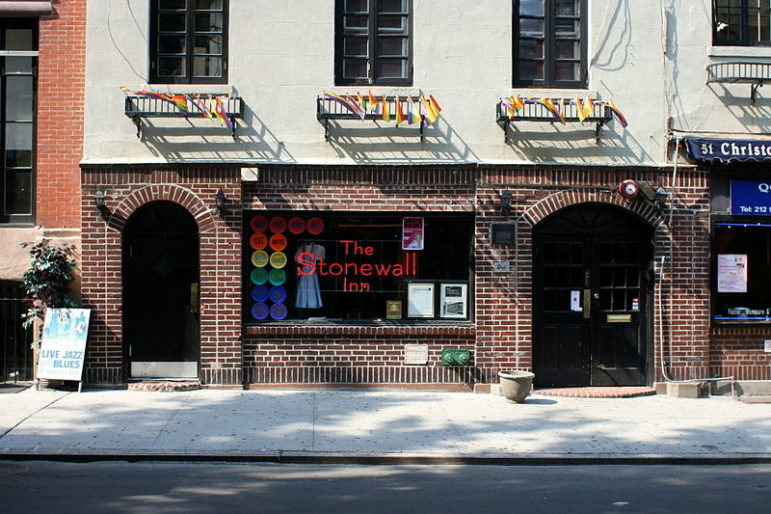 After the White House’s announcement that New York’s Stonewall Inn would become the first national monument commemorating the LGBT rights movement, the National Park Foundation has announced plans to raise funds for the new park, according to LGBT Weekly and a press release from the foundation. The National Park Foundation, a congressionally-chartered fundraising arm of the National Park Service, stated that raising $2 million for the Stonewall National Monument will be part of its $350 million Centennial Campaign for America’s Parks. The funds will be used to install a temporary ranger station and visitor center, pay National Park Service rangers, and provide community outreach and scholarship engagement for the site. The National Park Foundation will also help to establish a local funding group to provide continued support for the monument, which includes Stonewall Inn and the surrounding Christopher Park, located in Greenwich Village, New York. Stonewall Inn, a popular gay bar in the late sixties, was the site of an uprising that took place on June 28, 1969, when gay patrons and allies resisted a police raid of the establishment. The ensuing protest spilled onto surrounding streets and sidewalks, and was followed by several days of demonstrations by thousands in New York and other major cities. The incident and ensuing riots are considered a significant turning point in the struggle for LGBT rights. Stonewall National Monument was dedicated as a monument of the National Park Service on Monday. The designation of the park comes after a two-year theme study from the National Park Service, which has worked to identify places associated with LGBTQ people for inclusion in the National Park Service’s programs and properties. Stonewall’s dedication as a national park received heavy public support from locals, and the state legislature passed a measure allowing the city of New York to transfer Christopher Park to the United States government last week. In addition to supporting the National Park Service’s 122 national monuments, the National Park Foundation identifies and supports priority projects across the NPS—monuments, parks, lakeshores, and recreation areas—and supports local, site-specific fundraising chapters. It’s no secret that chronic underfunding stresses the operations and maintenance of NPS sites—the NPS currently has about $12 million of deferred maintenance. The National Park Foundation’s Centennial Campaign aims to find new donors as well as support for new monuments. The foundation has supported the opening of many of the newest monuments, including Belmont-Paul Women’s Equality National Monument, which was designated in April. After Belmont-Paul’s establishment as a national monument, the National Parks Foundation announced a $1 million donation from D.C. businessman David Rubenstein to support the site and its restoration needs. That donation brought the Centennial Campaign’s total fundraising to $215 million.